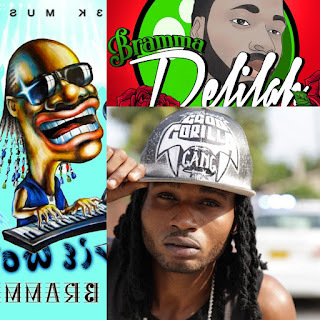 On the weekend of August 4-7, the non-profit Mateel Community Centre come alive with its grand presentation of the 32nd annual Reggae On The River (ROTR) live 2 day reggae festival in Northern California. 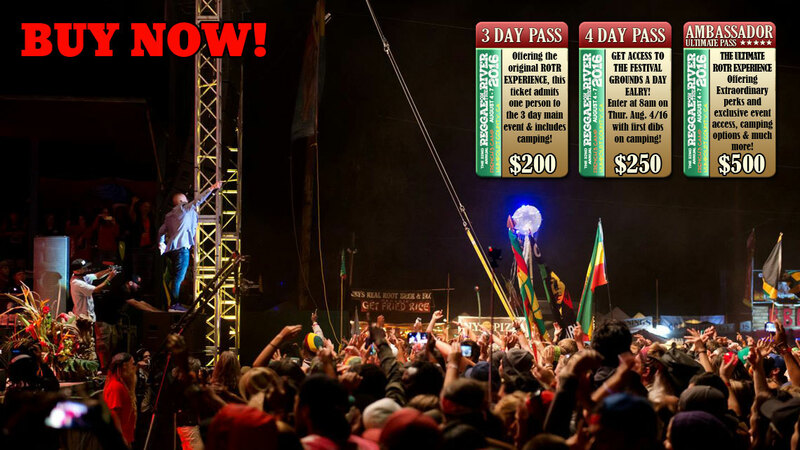 Set on the banks of the majestic Eel River and delivering the best in reggae and world music to the hills of Humboldt County, California since 1984, the 2016 event will offer the next chapter in the ROTR legacy with global luminaires. Sizzla Kalonji and The Fire House Band, KRANIUM and Agent Sasco, Anthony B, Protoje and The Indiggnation Band, A Soul Syndicate Reunion featuring Mad Professor with Big Youth, Randy Valentine, Marty Dread and Earl Zero; Mbongwana Star, King Yellowman, Million Stylez, Fatoumata Diawara, Jesse Royal, Sister Carol, Ziggy Recado, Jah9 and The Dub Treatment, House of Shem, Gappy Ranks, No Maddz, Democratoz, Keznamdi, Mr. Williamz, Locos Por Juana, New Kingston, Addis Pablo, Jah Sun, Lion d, DubTonic Kru, Newen Afrobeat, The I-Deals, Meleku, Bayonics, The Dubba Dubs, and 7th Generation Rise with more TBA- including DJs, sound systems and guest artists, plus the acoustic sounds of Jamaica's the Over-takers to nice thing up in the campground! The event will showcase more than 60 vending/non-profit booths, a lively Kidlandia, and the camping community, and irie vibes that made Reggae On The River famous. 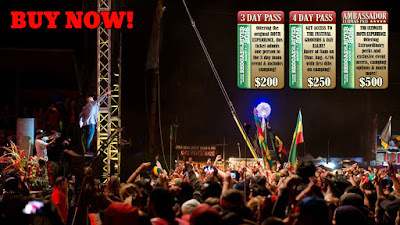 Three (3) and 4-day tickets are available at reggaeontheriver.com or go big with the Ambassador Pass to enjoy un-precendented perks and access for the ultimate festival experience! And while you're at it, make plans to really do things in style with an RV. RV registration is open now and spaces are very limited, so don't delay in making these arrangements. Visit http://www.reggaeontheriver.com the festival website for the full story and start planning your Reggae On The River pilgrimage today. It's happening August 4-7 at French's Camp, in Garberville, CA- heart of the Emerald Triangle- and your destination for a higher vibration! 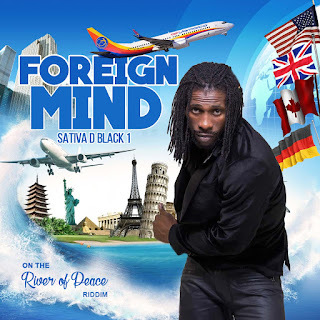 Nine years after taking the decision to make a car in Jamaica, Legendary reggae artiste Leroy Sibbles show off his new vehicle, the Local Legend, created by Lotus England, who designed the first of its kind in the 1950's. 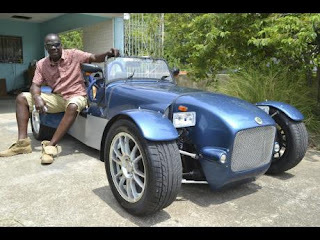 Sibbles told the Sunday Gleaner how he became interested in having the car built, "I went to Mandeville and saw a Doctor friend with one and I just loved it...:" Lotus England convinced the vintage crooner he could make another, "...and I said well we gonna build one.." Sibbles said. Both men thereafter started shopping for parts. The reggae music veteran of 40 years said of his inspiration to make the car, "the design has stood from that tine until today, and that kinda reflects the person I am." Although the end product looks pretty impressive, Leroy Sibbles further explained to the Sunday Gleaner why it took nine years to completely make this car. The process involved out-sourcing mechanics to rectify issues with the engine as well as sourcing parts from all over the world at an estimated US$20,000. But at the end of it all Sibbles said, "I am satisfied with the final product" although, "we had to import too much." Although those challenges posed a 'major setback' Sibbles walked away confident in local car makers and lauded some mechanics for being able to function without all the required tools. Leroy Sibbles received the Order of Distinction in 2002 by the Jamaican Government, the Caribbean/Canada Pageant Lifetime Achievement Award in 2000 and over 30 honours throughout his career.